Did you know that untreated hearing loss has huge repercussions, not only for your health and well-being, but for your wallet as well? Two recent studies investigated the hidden costs of living with untreated hearing loss. It is most likely obvious that living with untreated hearing loss is not good for your health, but not everyone understands why it’s a poor choice. A study conducted at Johns Hopkins University found that among adults age 70 and older, moderate or severe hearing impairment was linked with over a 50% increase in mortality. The study did not investigate causes of death and declared that future studies are needed, but it is clear that hearing loss is a factor in mortality. Hearing loss is known to be associated with cardiovascular disease, as well as cognitive impairment and walking disability. Hearing loss might also cause mortality in less obvious ways—people with untreated hearing loss may be more susceptible to car accidents, if they can’t hear horns. Not being able to hear warnings or shouting could also lead to accidents, such as around dangerous construction sites or being asleep during a house fire. It’s important that people with hearing loss get it treated as soon as possible so they do not put themselves in unnecessary danger. A second recent study took a look into the hidden costs of leaving hearing loss untreated. The study, associated with the Medical University of South Carolina examined over half a million adults from 55 to 64 years old over the course of 18 months. Researchers found that adults diagnosed with hearing loss had 33 percent higher healthcare costs than those without hearing loss. 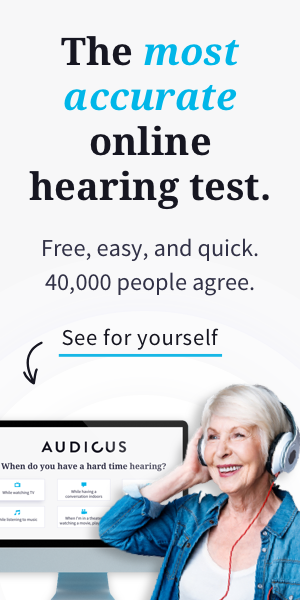 Those with hearing loss spent an average of $14,165 over the course of the study, while the people without hearing loss spent an average of $10,629. Interestingly, the study found that only 13 percent of the subjects with hearing loss had received hearing services. This finding suggests that untreated hearing loss can lead to much higher medical bills than those who seek services and treatments for hearing loss. Hearing loss worsens with age, so the longer someone puts off treating their hearing loss, the higher their medical bills may be. The study found that the negative results of hearing loss are often occurring earlier than previously thought. Addressing hearing loss as soon as possible is important—if hearing loss is addressed early in life, it may be treated by less expensive means, like a personal sound amplifier or just one hearing aid. Waiting until hearing loss is much worse can be incredibly costly, especially if the only way to treat hearing loss at that point is with pricey implants or surgeries. It is clearly imperative to nip hearing loss in the bud, if possible. Treating hearing loss as early as possible is better for your health and for your pocket. Avoid problems later in life by addressing your hearing loss now, and visiting your audiologist!